The only way to reduce tax is to cut spending! T0 THE PEOPLE OF PATRICK COUNTY; I TOOK AN OATH TO REPRESENT YOU THE PEOPLE OF DAN RIVER AND PATRICK COUNTY, WITH YOUR HELP,THAT I SHALL! WE MUST BECOME CONSERVATIVE IN OUR SPENDING. "EQUALIZATION OF TAXATION", THERE MUST BE ACCOUNTABILITY IN THE BUDGETING OF OUR TAX DOLLARS! THE STATE OF VIRGINIA IS CUTTING FUNDING TO COUNTIES, WHY? PEOPLE DEMAND THAT WE NOT RAISE TAXES, SO WE MUST BUDGET ON THE LIMITED MONIES WE HAVE AVAILABLE, PROGRAMS AND SERVICES WILL BE CUT DUE TO FUNDING RESTRICTIONS. I AM CONCERNED ABOUT BUILDING THE MAYO RIVER TRAIL IN A FLOOD ZONE! 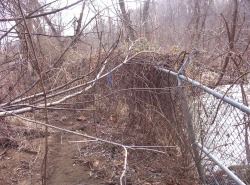 AFTER THE RECENT FLOOD, I WALKED THE PROPOSED TRAIL AREA. PLEASE, WALK IT YOURSELF AND USE COMMON SINCE, IF IT WERE YOUR MONEY, WOULD YOU SPEND IT THERE? I BASE MY DECISIONS ON FACTS! THE JAIL IS NOT IN A FLOOD ZONE. DAN RIVER PARK IS NOT IN A FLOOD ZONE. IN THE LAST 3.5 DECADES I HAVE WITNESSED THE MAYO RIVER FLOODING OF THE PROPOSED TRAIL AREA AT LEAST 4 TIMES, WITH SEVERE EROSION AND SEDIMENTATION! WHO WILL PAY FOR THE REPAIRS? Mayo River Rail Trail project remains alive By Nancy Lindsey An effort to kill the Mayo River Rail Trail project failed Monday night on a 2-2 vote, with Mayo River District Supervisor Ron Knight abstaining. Dan River District Supervisor Roger Hayden said he had initiated a discussion with the Stuart Town Council about entering into a 50-50 partnership with the county on the rail trail project. "Now, due to the flooding, I'm not opposed to the town of Stuart assuming 100%" patronage of the project, Hayden said. He said the recent flooding, resulting from almost four inches of rain in 12 hours, had caused the Mayo River and Campbell Branch to overflow their banks and cover most of the area proposed for the paved trail in downtown Stuart. The flooding also caused deep potholes and washed a chain link fence into the river, Hayden said, and the field targeted for a small park along the trail was under four feet of water. If it weren't for a "good stand of grass" there, the field would be gone, he said. Hayden said he walked the trail area on Jan. 29 with Stuart Mayor Jimmy McHone. "He knows the condition of the trail," Hayden said. Hayden said he thought another bridge would have to be added to the two already in the plans, at a minimum cost of $40,000. "It's not a hard decision," Hayden said. "After seeing the flood damage I wouldn't invest your money, my money or anybody else's money. It's better to walk away. I move Patrick County cease funding, construction, engineering, maintenance or any action related to building the Mayo River Rail Trail." "I second the motion," said Peters Creek District Supervisor Lock Boyce, longtime trail opponent. "This rail trail is one of the stupidest, most unproductive ideas..." He said people talk of children riding bicycles along the trail, but that would be along "an industrial wasteland," adjacent to the new jail and the town sewage treatment plant. Boyce said the county doesn't have any deeded easements for the trail, "just promises." He said the county's attempts to balance the budget and keep the real estate levy at 48 cents would be thwarted by the "open-ended" rail trail project. "The trail is being built for some reason to transfer money from the poor and put it in the pockets of wealthy individuals," Boyce said. "Patrick County in this day and time can't afford this trail." Hayden said no one had indicated support for the trail "except for a small minority," and the majority of people do not want it. "If you'll tell me if it floods somebody else will pay for it, I'd be happy," Hayden said. "But that's not going to happen." County Administrator Jay Scudder said the cost of a prefabricated bridge, if needed, would be included in the federal transportation enhancement funds funneled through the Virginia Department of Transportation. Lisa Price Hughes, resident engineer for VDOT, said the bridge costs, like most of the project, would be paid with transportation enhancement funds Smith River District Supervisor Crystal Harris told Boyce that when the rail trail issue first emerged, he offered to let the county use his land for a trail. Harris and other county officials spent a day looking over Boyce's land, she said. "If the trail was on your land, would you still be fighting it?" Harris asked Boyce. "I told you the whole point was I had 25 miles of beautiful land and nobody coming up there wanting to use it," Boyce said. He said he was trying to demonstrate that there was no demand for such a trail, pointing out that the paved trail at Fairy Stone State Park is little used. Boyce said the land around the rail trail will be worth a lot of money when the trail is built. "There are many more beautiful places to put a trail than beside a sewer plant," he said. Boyce and Hayden continued to speak out against the rail trail. In response to a question from Harris, Scudder said he understood that the county is responsible for maintenance of the flood diversion channel built by the U.S. Army Corps of Engineers in the 1980s. The rail trail would start in the general area of the channel. Hayden said he was concerned that flooding on the trail would cost taxpayers money. "If a flood washes out the new jail, we're 100% responsible for that too," said Blue Ridge District Supervisor Karl Weiss, board chairman. "We spend more time discussing the rail trail than the county budget." Weiss said the funding for the project is "laid out in black and white" and the project has been approved by the board several times since 2006. Weiss said Boyce, the supervisor who has fought the rail trail on his radio shows and in board meetings, voted for the transportation enhancement funds for the Dan River Park Trail, a smaller but similar project. Former Dan River District Supervisor Jonathan Large also supported the Dan River trail project, Weiss said. "This (Mayo River Rail Trail) is in my district," Weiss said. Hayden and Boyce voted for the motion to kill the rail trail project. Weiss and Harris voted against it. "As the Mayo River District supervisor, I abstain," Knight said. "The trail is not to be killed tonight," Weiss said. During the public comment part of the board meeting, Freddie Lee Hiatt and Doug Hullett also spoke out against the rail trail.